So Ghostcrawler updated the post. My response was not about the topic. I was responding to the classy “DIAF” part of the post. You’re welcome to whatever opinion you want to try and support in these forums. Telling the developers to die in a fire when you don’t agree with them isn’t something that is going to lend strength to your argument. If you get amazingly upset because Blizzard nerfed your class or doesn’t agree with your point, feel free to stand on a mountaintop and scream, post epithets in your guild forum, or go butcher Pygmy Surf Crawlers in Durotar if it makes you feel better. Don’t bring it here. With that said, we’re just not sure a Lay on Hands change really accomplishes much from a balance perspective, while it feels bad to lose such an iconic ability. We just don’t think the bang for the buck is there on this change, which is why we reverted it. But I’m not going to promise we won’t touch it. To break it down – Lay on Hands is still in the game, it is in the current PTR as only on others, however it will return to it’s original glory. GC’s comments were directed towards a flame poster telling him to die in a fire. So this is why a lot of people could not find the notes anywhere. My reaction was the typical reaction of any class with one of it’s iconic abilties on the verge of going away. They saw the problems realted to this and have decided to reverse it. Since that is fixed, get a new PTR build out with it corrected and fix the exit game crash on the PTR. Thanks, Bye! So the 3.3 patch notes popped out and Paladin’s got “nerf’d to the ground”, again. Lay on Hands can no longer be cast on yourself. Infusion of Light now also reduces the cooldown on the effect of Sacred Shield by 12/24 sec. The LoH nerf is pretty big. It has been this way pretty much forever, but now they are changing it and I blame PvP. I am tired of their e-sport watering down and changing the PvE landscape of this game. It was built as a PvE game and evolved. They need to make two games, PvE and PvP. Then adjust abilities for those games. These changes are big. Some are massaging out changes from older patches, some are just down right nasty and out of the blue. LoH is huge, so huge in fact that if it makes it to the live realms it might mean an auto quit and just wait till SWtOR. I do not mean to sound like a QQ paladin, however when you make fundamental changes to a class ability they have had since the beginning, you are really starting to mess with play style. As a Paladin Tank, I always know when to use my LoH. If it is so bad for PvP, make it a talented point deep in Prot. This will prevent it from being used in BG’s. It will also allow tanks to keep that prevent raid wiping cool down. Blizzard needs to decide what they want to do with this game and take in that direction. Dear OP, Bye. Hugs, GC. Update: And to those sites out there claiming this is not live on the PTR, check your facts download a client and see, that in fact, yes it is live on the PTR. So, there is a bug on logon for some people on the PTR client. The second you log in with copied toon or a Pre-made, you are immediately disconnected upon the loading bar finishing up. The work around for this, as discovered by others on the forums, is as soon as you are disconnected, log back in as quickly as you can and you will be able to log in. I use an authenticator and would pre-load the 6 digit code into my mind to speed up the process. I was disconnected when changing worlds (Kalimdor -> Eastern Kingdoms -> Northrend) so I did have to log in 3 times just to get to Dalaran. I am now there and it is working. The odd part is a newly made level 1 can log in with no issue. Hopefully this is fixed in a coming update. Once in the PTR the first thing I noticed was the new map. 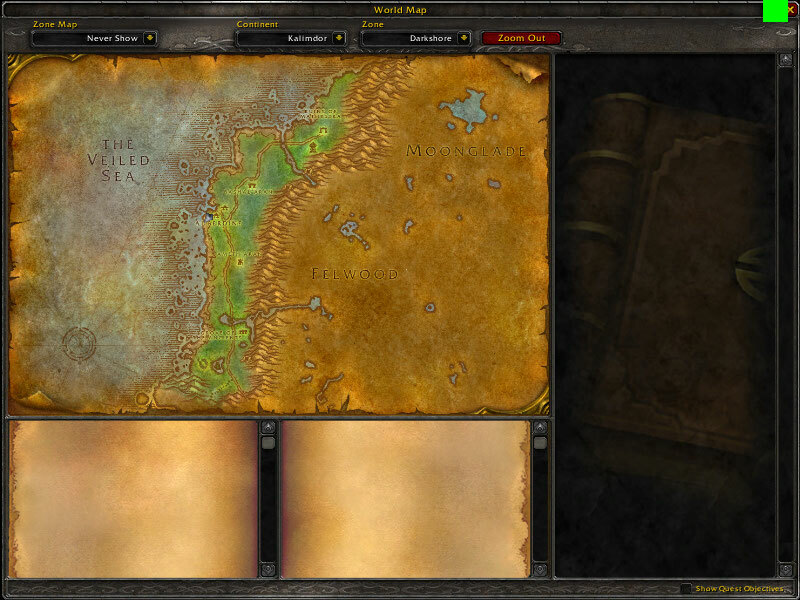 This one seems to have space for Quests on the right side, quest notes on the bottom and mini-map. Below is a screen shot of this. Either there is a graphic missing, or I have a messed up install, the green box is a minimize button that goes to a map we are more used to. You can see there are check boxes to track quests. Note: there is a note in the notes that this feature is not working. My plan is to get to the new 5 man sometime tonight and recruit a group out there to give my self a look at it. I will keep more 3.3 updates as I see them. Well last night was a big night for the guild. We hit our first piece of raiding traction for the first time in a while. We went in and finished off Crusader Coliseum: Trial of the Crusader and got Call of the Crusade (10 player). It started out a little shaky, however we made a few swaps and got it. The two hardest fights for us were the Northrend Beasts and the Faction Champions. That group just seems really random, however once you get those healers down , it becomes a cake walk. I also never heard so many ears and eyes glaze over while explaining the Twin Val’kyr fight. It just takes a while to get the caveats down for the two abilities. We got them down on the second try. It was a great effort to really clamp down and understand that mechanic. We ended up 1 shotting Anub’arak. It was a little hairy during phase 3. We did get the big bug down. This was a great boost to guld morale. Especially we know we can get in there, gear up, and help us on the final two bosses in Ulduar. In other news, 3.3 hit the PTR. I have it installed and ready to go. I am looking forward to getting in and getting that first 5 man and seeing what they have in store for us. I also have some strategies that worked for us in Crusader Coliseum, I will pass those along this weekend. Expect to see some news out of here in the coming days/hours since I have a lot to get out. Onyxia – Is well…not the same, however this is as intended. Blizzard has said this is supposed to be a celebration of the game and offer up some loot. We went in there and 3 shot her. 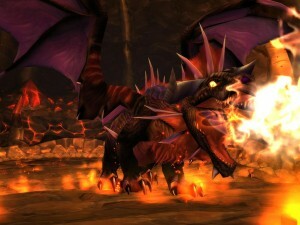 Many of the raid had never fought her prior to 70. 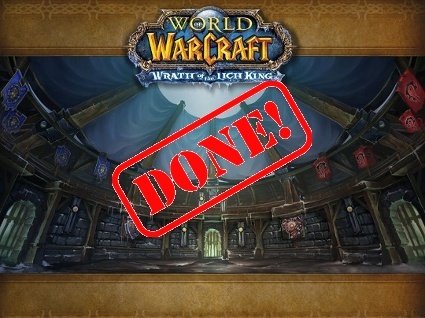 This, however was fun and Blizzard did a great job in balancing it out. It did take a few tries. The first time, the whelps overwhelmed us, the second time we had a 50 dkp minus moment when someone spawned a ton of extra whelps. The last attempt we were successful. It was fun, everyone avoided the deep breaths and we got some nice loot. Our Druid OT/DPS won the head, after we had some discussion he gave it to me. I was very pleased to get it. I was able to replace my Repelling Charm with Purified Onyxia Blood Talisman. This was great because not only do I get some avoidance and keep my Def capped, but I get that ever so needed +15 fire resistance. The +20 plus hps for free is nothing huge, just a nice little extra piece. Every group should get in there and get the Brood Mother down. It is fun, not to difficult and yields some wonderful gear. We saw the following: Coif of Ten Storms, Glinting Azuresong Mageblade, and Bloodfang Mask. Of course the gem bag, 22 slot bag, and head. I had also received the sword, being the only spell caster that could use it. Last thing the 3xEmblem of Triumph is a wonderful way to expand that collection each week. One downside, and I don’t know why this is, the head no longer appears outside Stormwind and all folks less then 70 no longer get the buff. Which is OK, just a little sad. So get down to Mudsprocket and take her down.